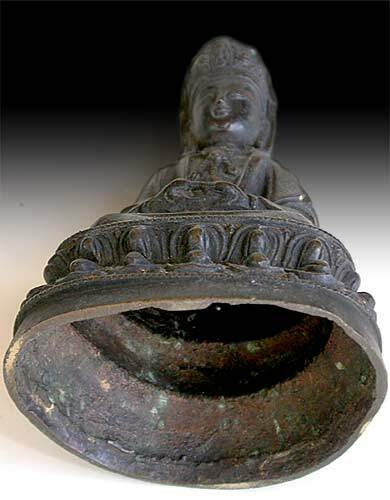 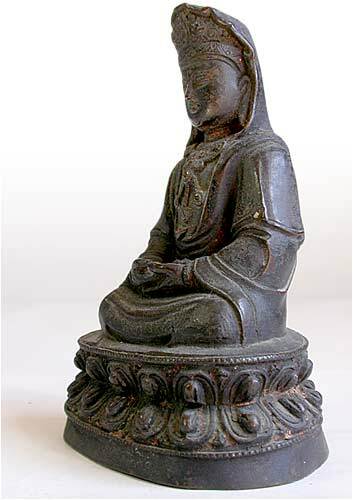 This very old bronze possesses an austere simplicity emanating stillness and serenity. 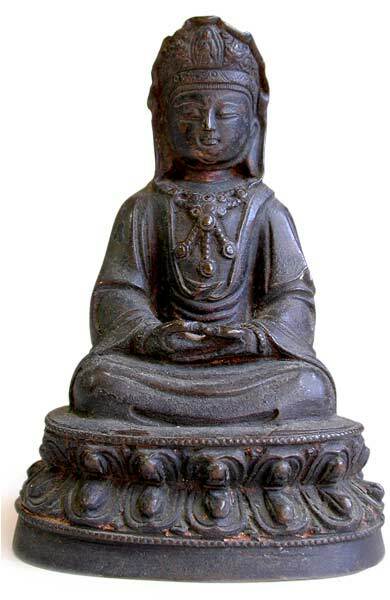 The goddess is Quan Yin, deity of compassion and mercy, with an image of Amitabha Buddha, of whom she is an emanation, in her headdress, over which is draped the hood of her unornamented robe. 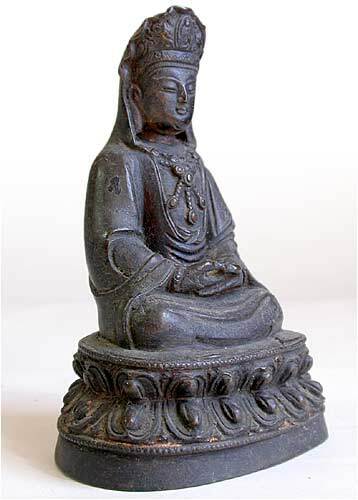 She is seated upon a double lotus in rapt meditation, adorned with a necklace with triple diadem. 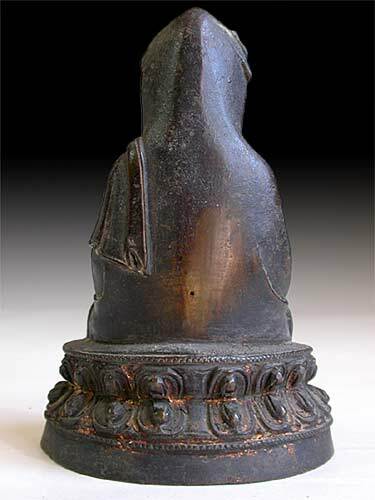 Traces of gilding remain in some of the crevices; overall patina is an excellent black with green and brown undertones and traces of black lacquer.